Bloomberg is the definitive source of information for security pricing, indicative and fundamental data, customized analytics and business news. This guide is designed to help you get started using Bloomberg. Use the tabs to navigate through the guide. 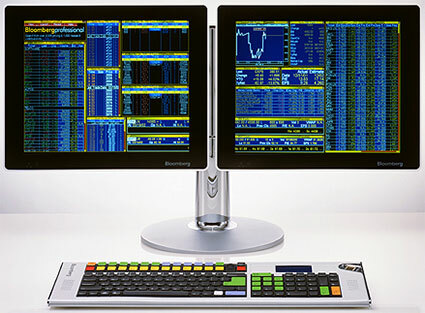 Bloomberg terminals are available in the Lippincott Library and in Huntsman Hall. The Lippincott Library offers Bloomberg 101 sessions during the fall and spring semesters. The class covers basic database structure and commands with a focus on practical and useful examples. Click here to sign up for a session. What screening can I do on Bloomberg?